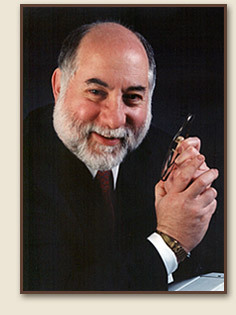 Bruce L. Neff is a lifelong resident of the Philadelphia metropolitan area. He graduated from a Philadelphia public high school, and thereafter, obtained both his B.A. and law degrees from Temple University. Mr. Neff’s first position as an attorney was as house counsel for Harleysville Insurance Company. During the two years he worked for Harleysville, he learned the practices and procedures of insurance companies from the inside. He then spent three years with the Philadelphia District Attorney’s Office as a prosecutor, followed by an additional two years as general counsel for Concord Mutual Insurance Company and Temple Mutual Insurance Company. In 1979, Mr. Neff opened his own office with an emphasis on protecting the rights of the individual. Neff and Associates concentrated its efforts on personal injury claims until 1990, when Pennsylvania passed the “bad faith” law. Since that time, the law firm has continued to represent the rights of injured individuals for personal injury claims as well as specializing in claims for damages caused by insurance companies to their insured under the “bad faith” legislation. Mr. Neff is a regular contributor on public interest radio and television shows explaining the concept of “bad faith” to the public. He is a frequent lecturer on the subject of bad faith claims in seminars providing continuing legal education to other attorneys, at the request of the Philadelphia Trial Lawyers Association, the Pennsylvania Bar Institute and the National Business Institute, among others. He sits as a Judge Pro Tem in the Court of Common Pleas of Philadelphia County.